Are you interested in performing? Do you want to know more about drama school? 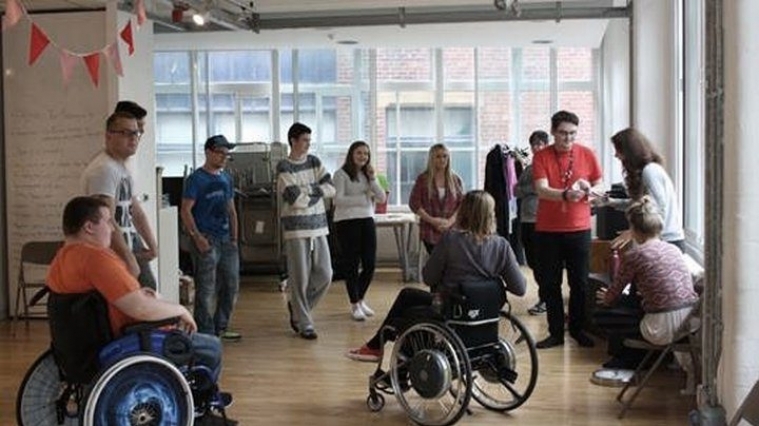 This free drama workshop on Sat 30 Mar, 1–4pm, is an opportunity for young people (16–25) with physical and sensory impairments to participate in a practical inclusive drama workshop and to give you an introduction into acting. The workshop is also open to non-disabled participants who are from households with an income of under £25k and/or identify as BAME. Led by RADA teachers, you will find out what it’s like to train as an actor through exploring play texts, voice or movement, and warm-up exercises. All participants will receive a free ticket to The Shape of the Pain, an accessible production developed and directed by Access to Acting project leader Rachel Bagshaw. The performance will take place at 8pm after the workshop. We hope you can join us. To book, please download and fill out the Access to Acting application form, and the photography consent form below and then email to completed forms to us at engagement@bristololdvic.org.uk or call on 0117 949 3993 (ext. 8670) to confirm your booking.